Also known as: Necklift or Mini-Necklift. 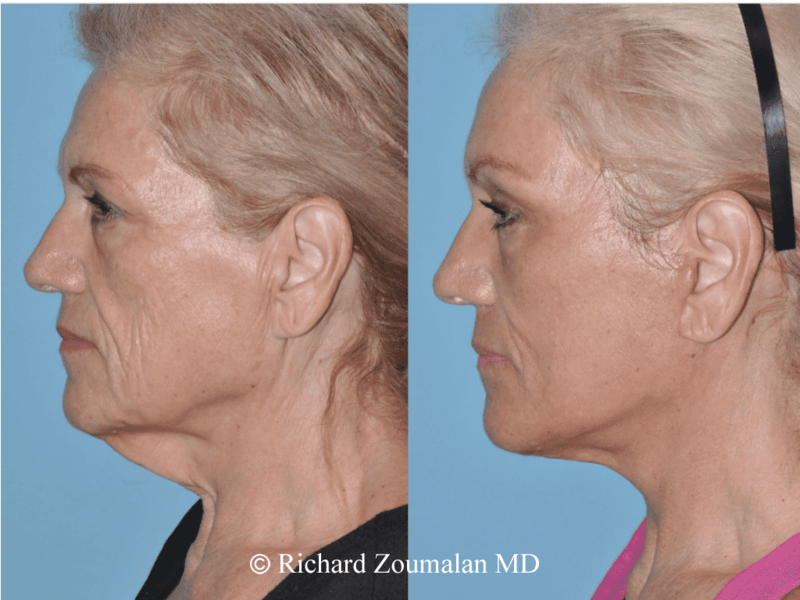 Dr. Zoumalan is regarded as an expert at improving the neck contour. 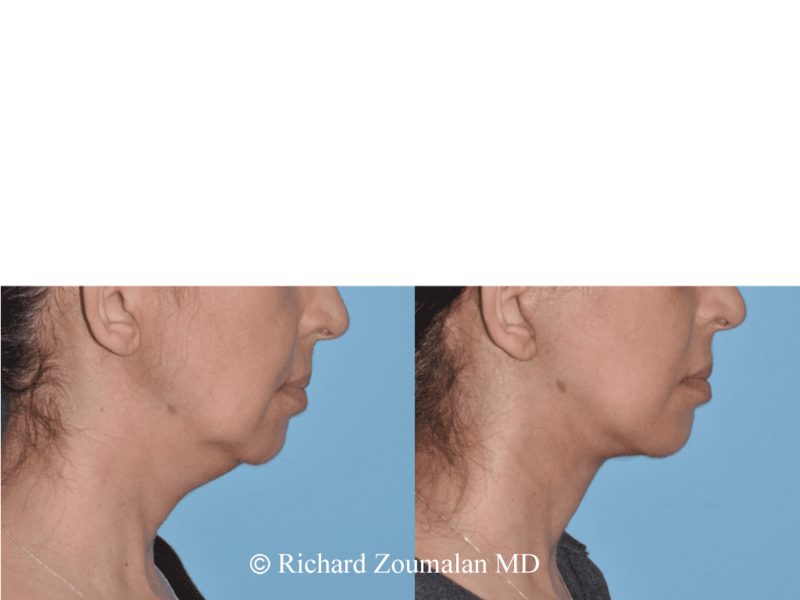 As we age, the neck tissue loses its elasticity, and fat can accumulate. Furthermore, muscle starts to sag. 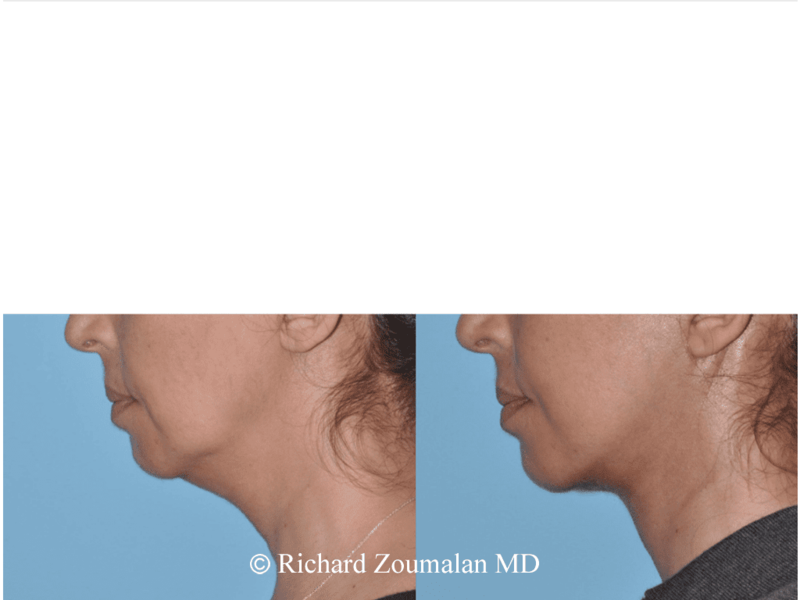 While there are non-surgical options to help with this, the most powerful tool for a sagging neck is surgery. 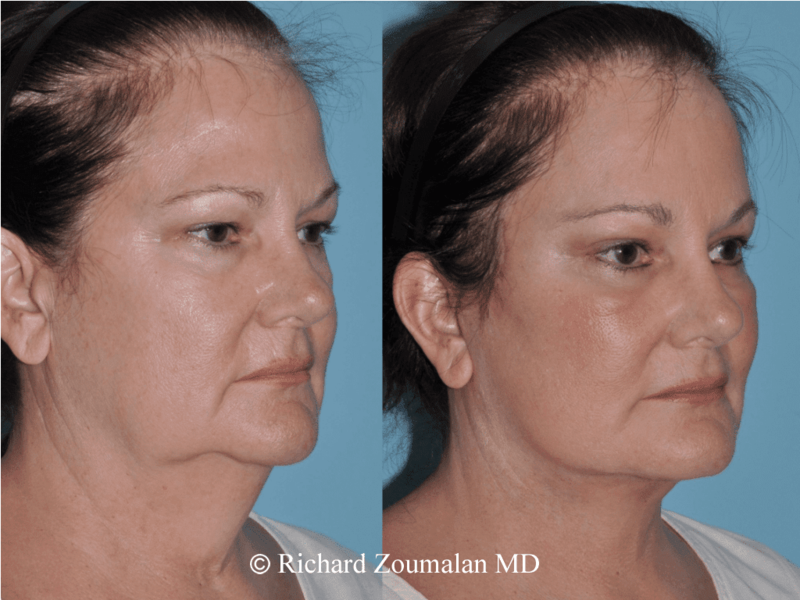 It allows one to remove fat, tighten the underlying muscle, and remove excess skin. 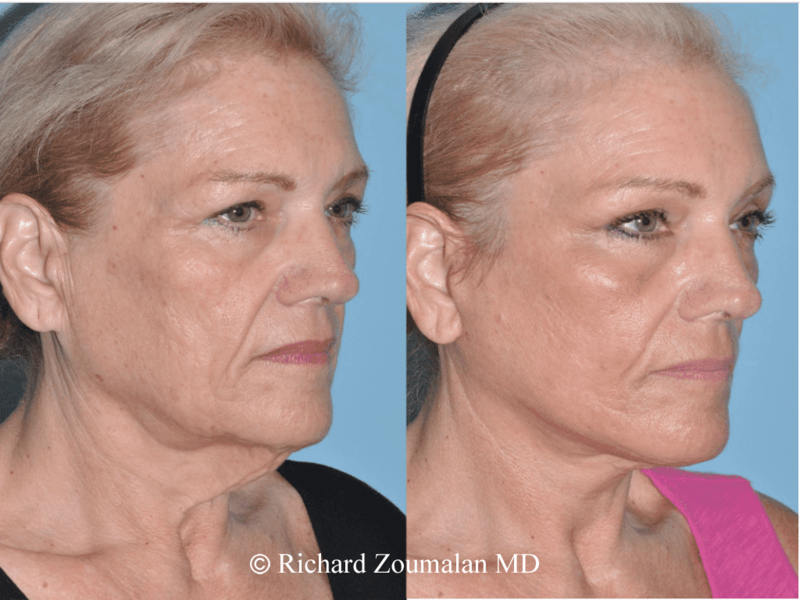 Dr. Zoumalan performs two variations of the Neck Lift, each of which has variations of its own. The choice of the variation depends on your goals as well as your anatomy. 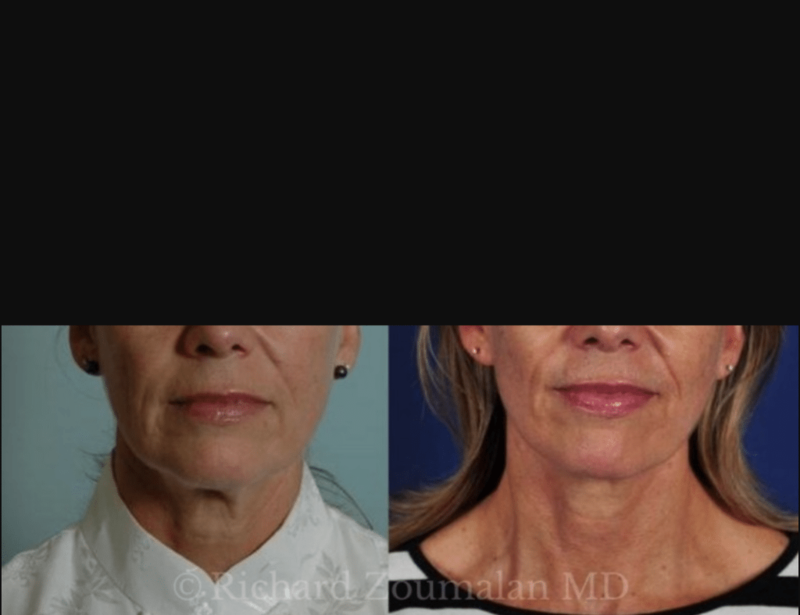 The two main types are the Mini-Neck Lift and the standard Neck Lift. 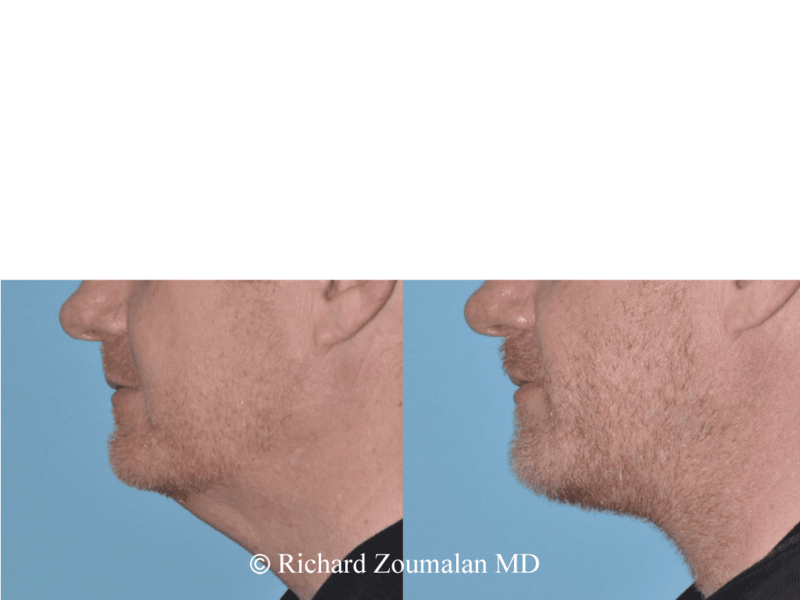 The mini-neck lift is an operation aimed at improving the area under the chin. 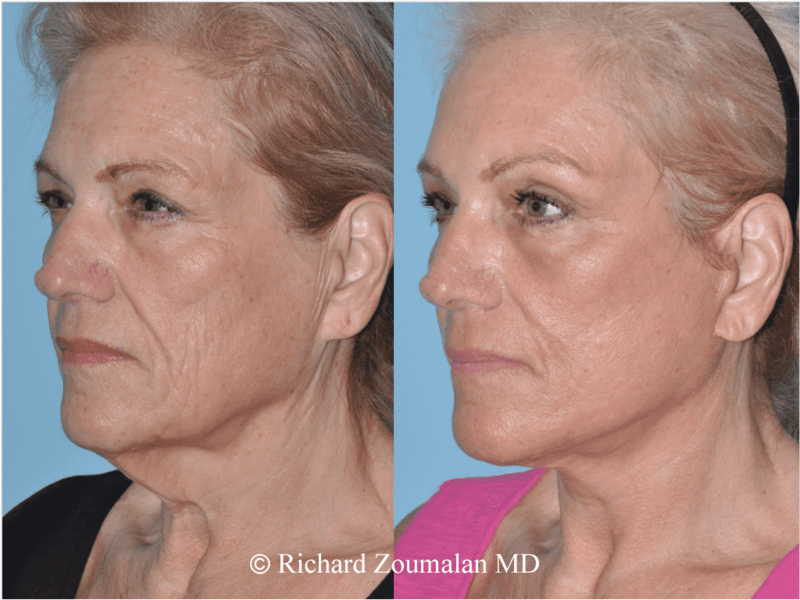 The medical term is “Submentalplasty.” It only uses a short incision under the chin, in a natural crease. This incision is never seen. This is best for those with good skin elasticity. 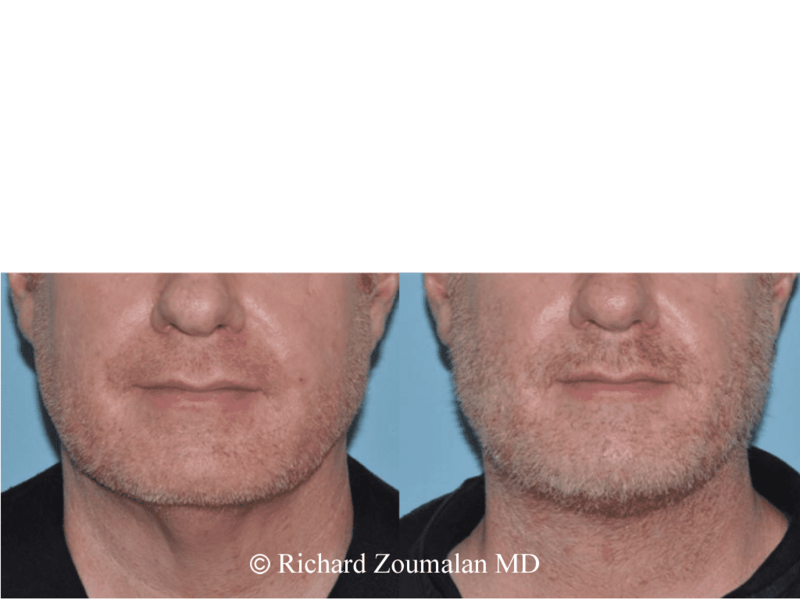 Dr. Zoumalan can help decide this during your consultation. 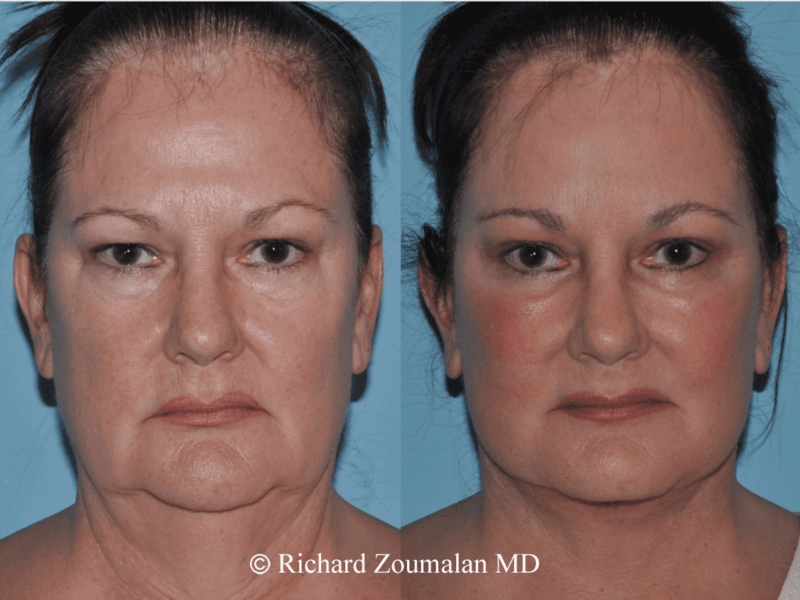 Just as with the Mini-facelift, this is an ideal surgery for those that have busy lives. 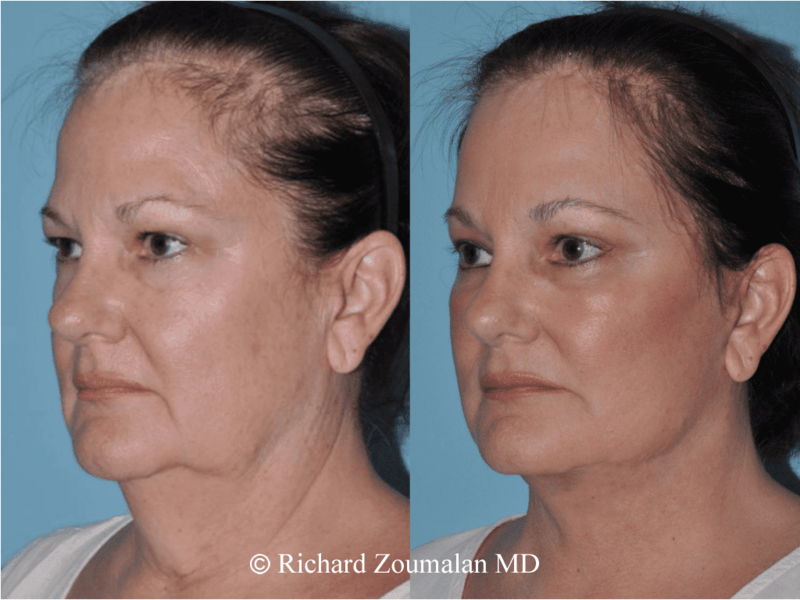 The standard neck lift uses small incisions around the ears, in natural creases. 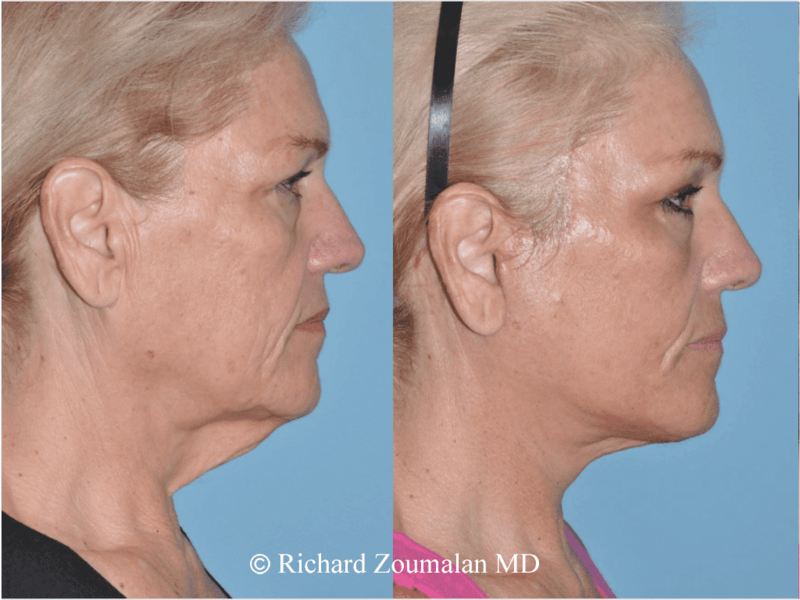 It also removes excess fat and re-suspends the thin sheet of muscle in the neck called the platysma. 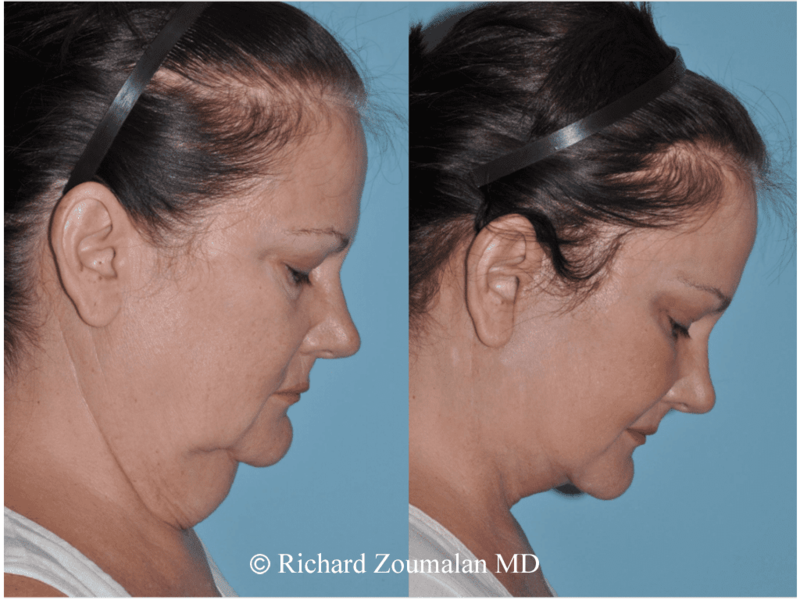 It removes the excess skin that sags under the chin. 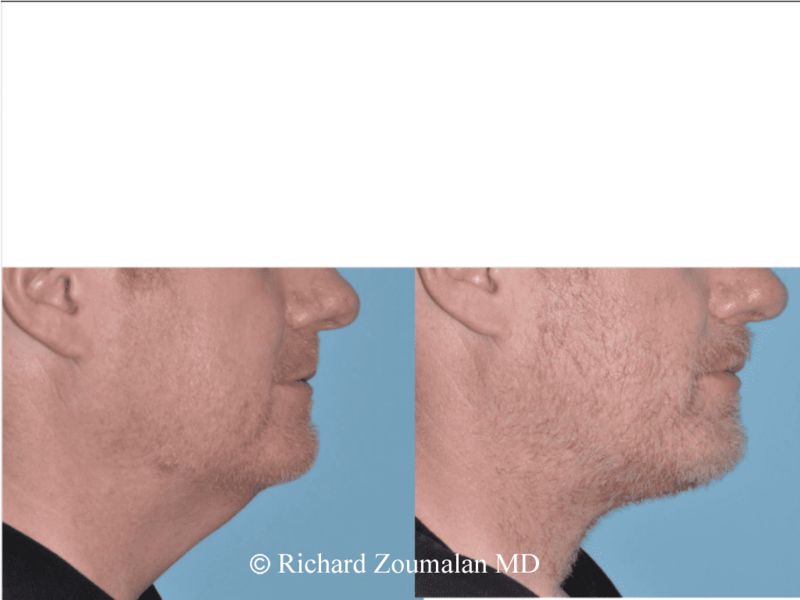 This is a great operation to give people their old neck back. 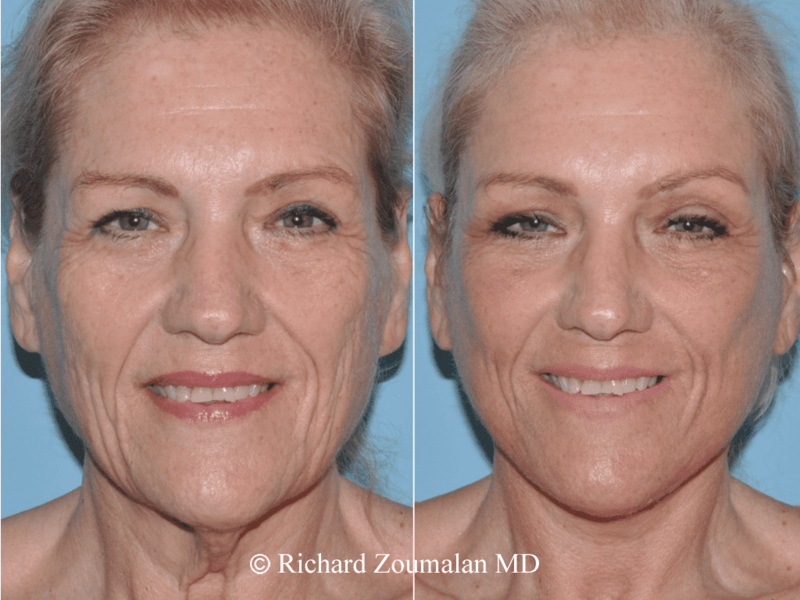 Dr. Zoumalan uses the smallest incisions to get the best outcome. During your consultation, Dr. Zoumalan will spend the time to get to know your motivations and areas of concern. 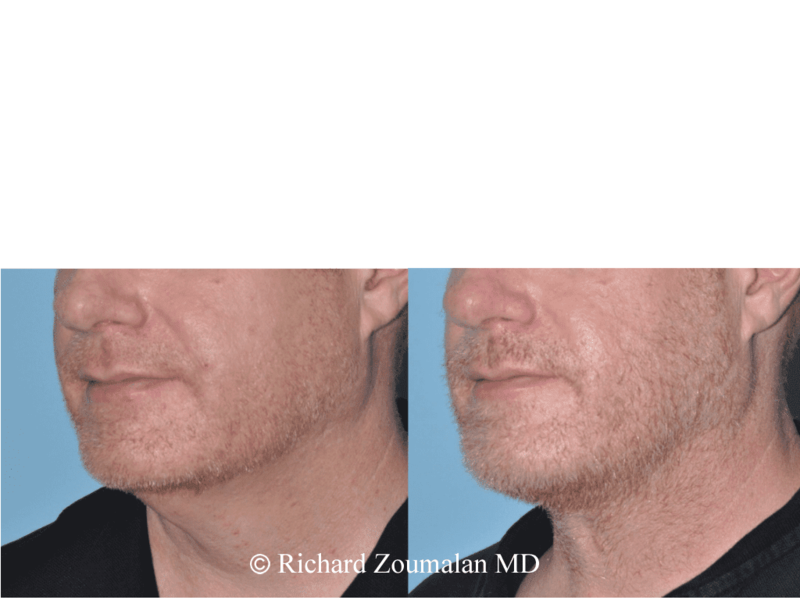 He will examine your neck and feel for the different anatomic areas. 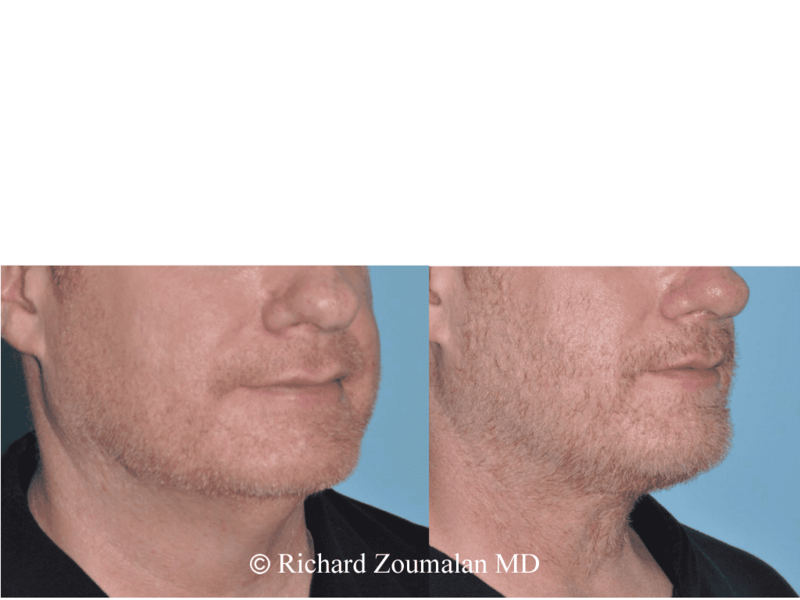 This helps him decide the most optimal operation or procedure for you. 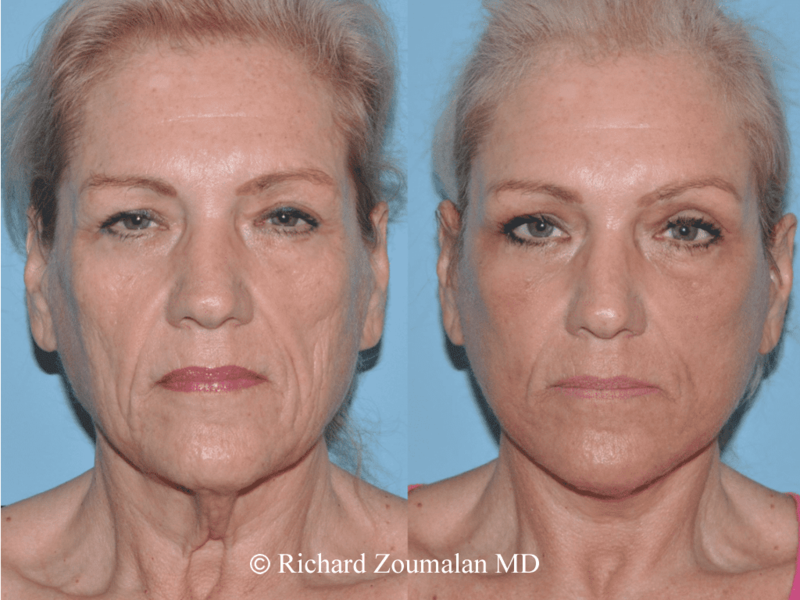 Dr. Zoumalan will perform your surgery while you are under the care of experienced anesthesiologists at a Beverly Hills surgical center which has the highest level of accreditation and provides the best level of care. After surgery, we ask that you stay overnight at with a professional nurse who will care for you for at least one night. We will help coordinate this. 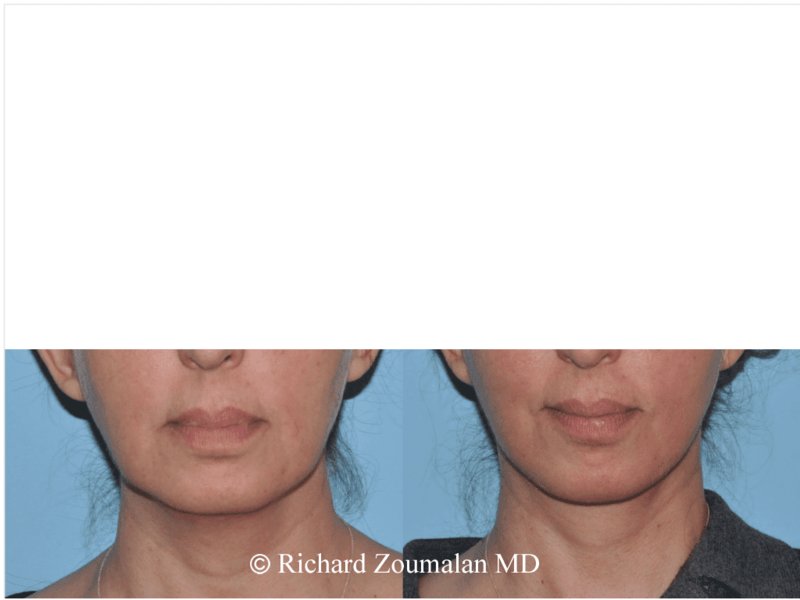 The woman in the following pictures was unhappy with the thick vertical bands in her upper neck. These are muscle bands of the platysma muscle. 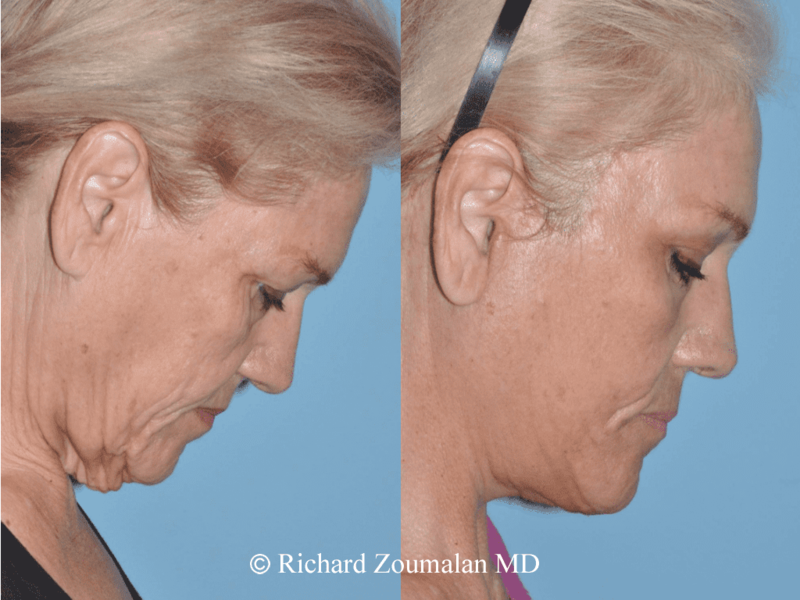 As we age, the platysma tends to sag and show more. 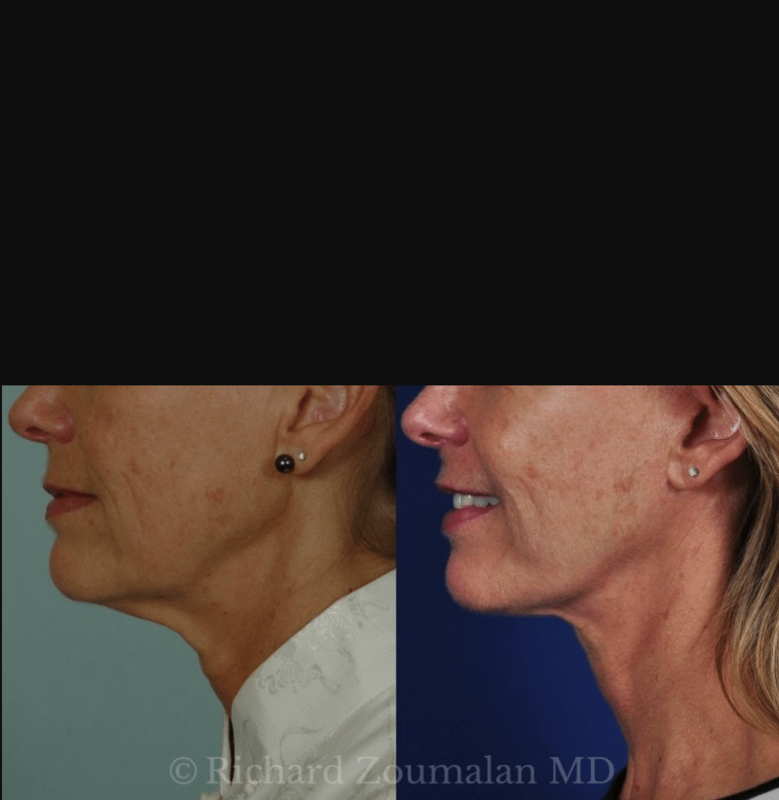 You can see the two vertical lines in her neck in the top left photo. 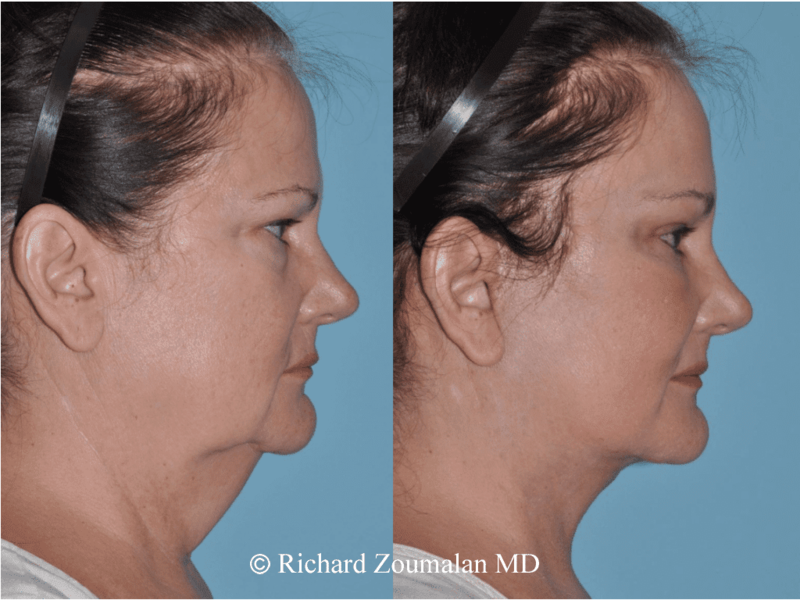 In the photos on the right, you can see how much improvement she received after a neck lift. The vertical bands are gone. Her neck line is also significantly improved. 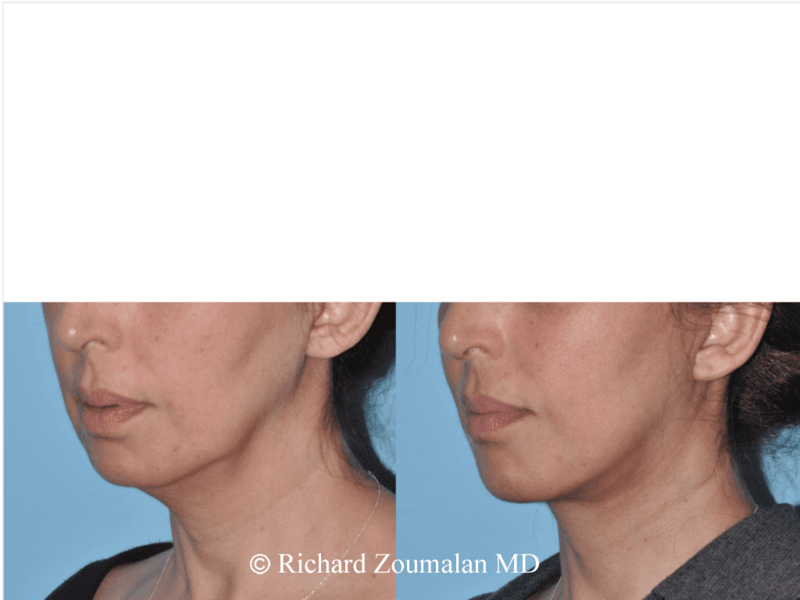 A neck lift improves the contour of the neckline in a natural way. 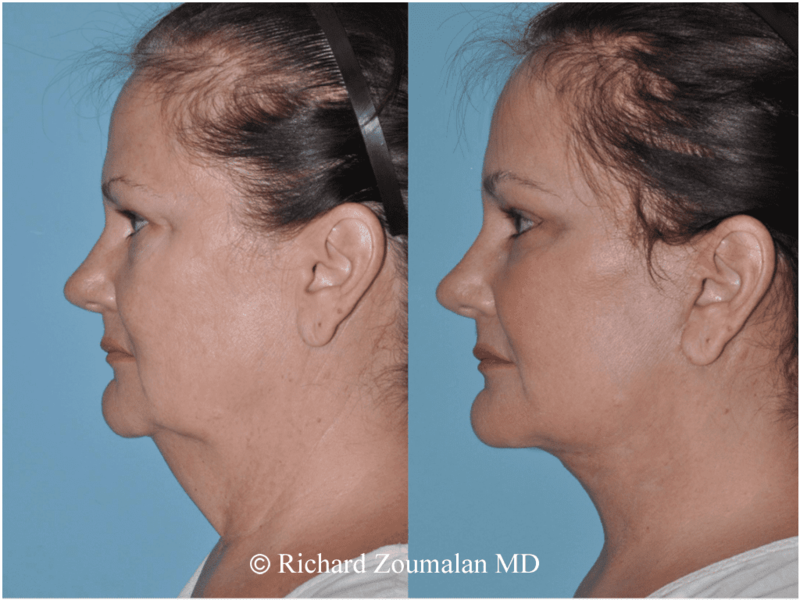 During a neck lift, extra fat in the neck is also removed to give a more slender and youthful appearance of the neck.